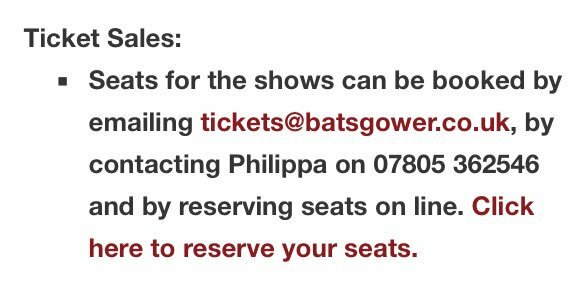 Seats for the shows can be booked by emailing tickets@batsgower.co.uk, by contacting Philippa on 07805 362546 and by reserving seats on line. 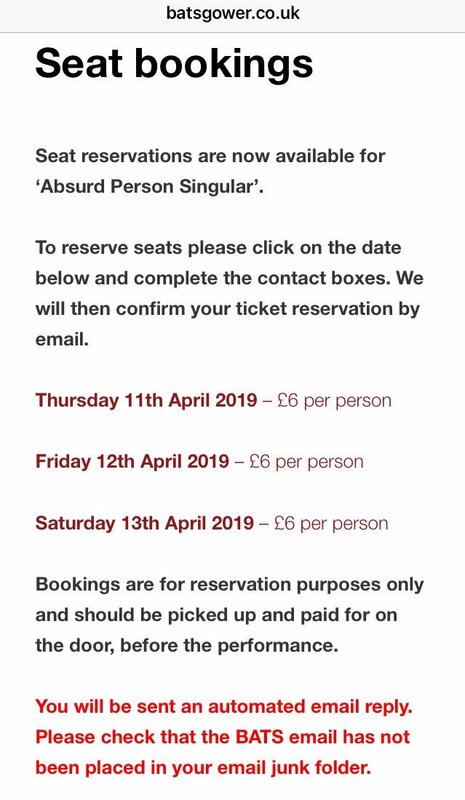 Click here to reserve your seats. Ar gyfer fersiwn Gymraeg y wefan, cliciwch yma. BATS assist with Derbyshire production.